Nothing is complete without Jesus. 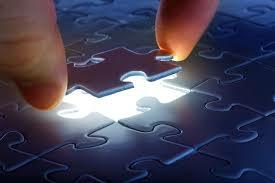 He is the “Author” and the “Completer,” the “Beginning” and the “End” (Hebrews 12:2, Revelation 22:13). Everything exists because of Him, and everything is missing something without Him; and not just missing something, but the central thing; the thing that supplies true meaning and purpose to all things. That’s what the Bible means when it says of Jesus, “For from him and through him and for him are all things. To him be the glory forever! Amen (Romans 11:36). This applies to everything, the animate and the inanimate alike. Take for example the Old Testament Law. Jesus said, “Do not think that I have come to abolish the Law or the Prophets; I have not come to abolish them but to fulfill them” (Matthew 5:17). In other words, the OT Law is incomplete, it’s missing something without Jesus. “Relax or die!” Isn’t that what God is saying here? We tend to focus on the long list of things the Law commands us to do, but what about the command to rest from all of our doing? It’s hard to say which of the two we fail at most miserably, our doing or our resting. Nevertheless, “Anyone who works on the Sabbath must be put to death,” seems like a gross and bizarre overreaction on God’s part. In what universe does this punishment fit this crime? It makes sense that doing the wrong things should be a crime, but should failing to do nothing be a punishable offense? And so severly punished? “Relax or die!” makes no sense without Jesus; with Jesus, it makes perfect sense. That’s because Jesus IS the Sabbath rest we all so desperately need! By fulfilling all of the commands of the Law and by offering His perfect life as a sacrifice for our sins, Jesus became our Sabbath rest. As it finally begins to sink in that she is not interested, the man shows his true colors. ‘You’re unfair and I’m now sorry that I paid for your drink tonight. Can I ask you to pay me back for it? It would just be fair. The woman agrees to reimburse the spurned Romeo, and asks for bank details and the cost of the drink. Not convinced that she’ll follow through, the world’s cheapest date actually checks up on her to make sure she has paid him back. Tang now looks forward to spreading his good fortune. He intends to leave $20 bills in random locations for others to find. Indeed, she has given away four dogs in four years. I’m a serial dogamist. In the early stages of the relationship I’m head over heels. I attend all the puppy classes. I don’t even begrudge picking up dog poo. There’s nothing I wouldn’t do for my new canine companion. But the moment things get complicated and they develop a problem, I don’t covet a dog-free existence like any other sane person might. Instead, I start wondering if there is another, more suitable dog out there. Maybe one that is less bouncy, less barky, less inclined to moult everywhere. 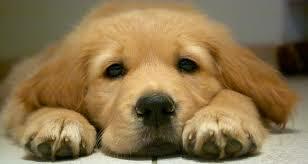 And so the new search begins and I cannot rest until I have found a replacement puppy to lie adoringly at my feet. Scientists from the Universities of Dundee and Edinburgh have formulated a new recipe for an ice cream that doesn’t melt. The recipe is the result of the discovery of a new protein,BsIA, that binds the air, fat and water in ice cream to make it more stable. The new ice-cream could be available within three to five years, and it is anticipated to contain lower levels of saturated fats, fewer calories and a smoother consistency. This advancement will also benefit manufacturers, allowing it to be more easily transported. A Chinese woman, surnamed Zhao, while making a connection at the Beijing airport, was told by security that she could not take an expensive bottle of cognac in her carry-on. Since it was too late to access her checked-in luggage, it appeared she had no choice but to leave it behind. But Zhao was determined not to let a $200 dollar bottle of Remy Martin XO Excellence go to waste, so she drank the entire bottle! Now she faced a new problem. Too drunk to stand, security–out of concern for her own safety–could not allow her to board. Instead, unable to continue her journey, she was escorted in a wheelchair to a room where she slept until a family member was able to come and pick her up. Some things become so important to us that we have trouble letting them go. Instead, to our own detriment, we cling to them. Of course, we’re not just referring to expensive cognac. There is a moment in time when virtually everything we hold dear must be relinquished if we are to continue moving forward on our journey. Otherwise, we undermine our own spiritual health and contentment. Do you ever find yourself thinking you’d do better if you just had a little more of something–like a little more time, or money, or brains? Well perhaps you’re wrong, at least about the brains. … A 44-year-old happily married man with a white-collar job and two children visited a hospital in Marseille, France complaining of mild weakness in his left leg. Some time later, he concluded his hospital episode with his leg weakness cured, but with another, intriguing diagnosis in tow: he was missing most of his brain. When is a crime really a crime? That’s a great question when it comes to this bizarre and convoluted news story. It all began July 8, 2015 when Michael Suarez of Ypsilanti, Michigan, arranged to sell a pound of marijuana for the sum of $2800. He and a couple of friends were to deliver the drugs in the wee hours of the morning to a couple who were waiting at a local mobile home park. Here’s where it gets interesting. Suarez and his accomplices didn’t bring marijuana to the drug drop at all—instead, they brought a backpack full of dirty socks! Upon delivery of the backpack, Suarez and friends received payment of $2800 and quickly sped away. When a 5 year old is dying of cancer, what can be done to make up for all that she will miss? This was the challenge facing Ryan and Heidi, whose daughter, Lila May Schow, was diagnosed with stage four neuroblastoma and is not expected to make it to this Thanksgiving. Springing into action, her parents decided they would not allow the cancer to rob their daughter of the important celebrations of life. 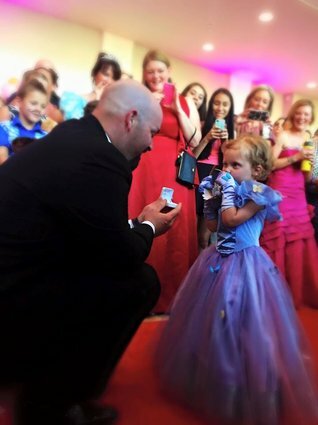 So they planned a fairy tale ball, which included every major celebration a girl has to look forward to — a prom, a birthday bash and a wedding! Just then, for some unknown reason, there was an incredibly long and unbelievably awkward silence. MURFREESBORO, AR – An 8.52-carat white diamond was found Wednesday (June 24) by Bobbie Oskarson of Longmont, Colorado, at Arkansas’s Crater of Diamonds State Park, according to park officials. Clear white and icicle shaped, this gem is the fifth largest diamond found by a park visitor since the state park was established at Arkansas’s diamond site in 1972. Twenty minutes into her search, she found the diamond in a couple scoops she had dug from a small mound of dirt. … She named her gem the Esperanza Diamond, both her niece’s name and the Spanish word for “hope.” At this time, Oskarson plans to keep the gem. “Chris Singleton, whose mother, Sharonda Coleman-Singleton, died during the shooting rampage in Charleston, South Carolina, on Wednesday [6/17/15], delivered a powerful message to the world on Thursday evening: No matter how much hate there is in the world, it’s no match for love,” reports the HUFFINGTON POST. “There are two groups of people who should not be shocked to discover that a member of the Duggar family is a sinner,” says Todd Friel, writing for the CHRISTIAN POST, “Christians and non-Christians.” This, he says, is what makes the Josh Duggar story a disaster. The subject line from an email sent by a popular Christian website stated: “Christian world rocked.” Really? Despite owning a home perched atop a high cliff with a scenic ocean view in Sydney, Australia, Don and Moya Ritchie live on a plot of real estate that can best be described as something out of a bad dream. The rocky cliff is known as The Gap–the most notorious suicide destination in the country. While most people would surely move away, the Ritchies have stayed for almost 50 years, saving an estimated 160 people from taking the leap. 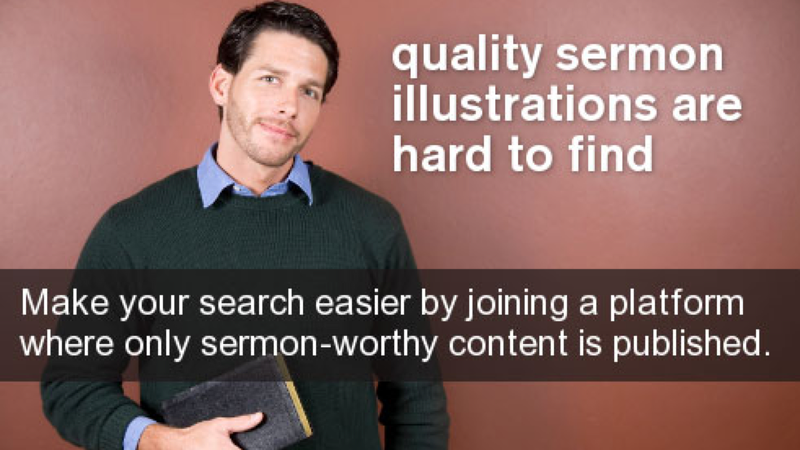 FreeSermonIllustrations.com is a website created by Dr. Mitchell Dillon, founder of Illustration Exchange. Every week, highlighted illustrations from our members-only website are posted to this blog and made available to the public, free of charge. If you like what you see here, visit Illustration Exchange. For Thousands Of Illustrations Click Illustration Exchange Now! FreeSermonIllustrations.com is a website created by Dr. Mitchell Dillon, the founder of the web's premier sermon illustration website, Illustration Exchange. Every week, a highlighted illustration from our members-only website is posted to this blog and made available to the public, completely free of charge. If you like what you see here and would like access to more of the highest-quality sermon material available online, visit Illustration Exchange now.